When it comes to technology, I'm all about convenience. That's why, for example, I was absolutely thrilled to discover how to use WhatsApp on a computer. That's right: You can use WhatsApp, the already awesome and convenient messaging app, from the comfort of your computer screen — no smartphone required (well, not after the initial setup, at least). Isn't technology great? Most of us are probably already all about WhatsApp, but in case you need a little refresher, here's a reminder of some of the perks of the messaging app. First, WhatsApp is totally free. In the past, it cost a whopping 99 cents per year but now it's free forever. Second, it's actually the most popular messaging service around, according to Quartz. Just how much usage does it take to give an app the "most popular" title? A whopping 1 billion people use WhatsApp each and every month. That's a lot of happy users. WhatsApp also has a lot of useful features, hidden and otherwise. For example, you can read your messages "Incognito," meaning that the other user won't know that you've read it; you can make your profile picture "private," hopefully lowering your chances of getting requests from creepy randos; and you can even recover your deleted messages if you've backed up your conversations. And if you're concerned about security, WhatsApp is appealing because all of the messages are double encrypted, offering you an extra layer of privacy. 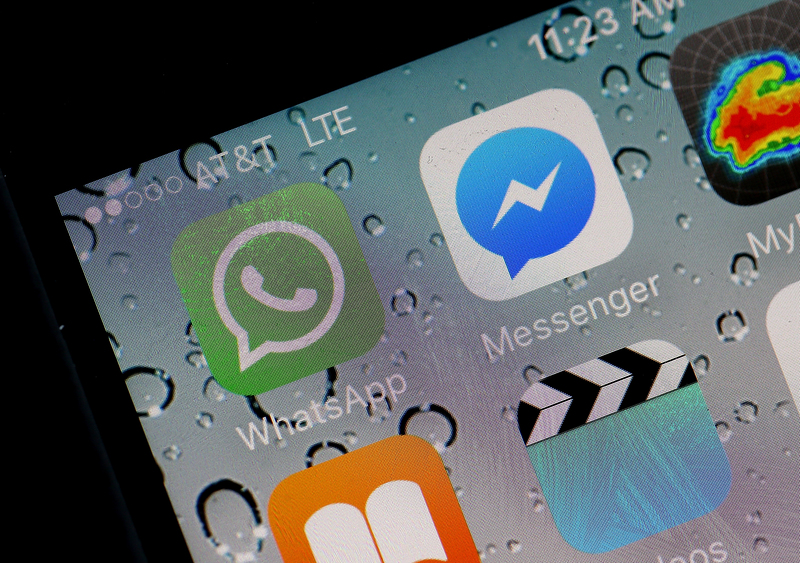 So, what's the newest thing WhatsApp is allowing users to do? Now you can connect your WhatsApp account to your computer screen. At one point, this option was only available for Android and Blackberry users, but now, it's been extended to include the iPhone and some Nokia models. Personally, I use an Android, so that's the phone this lovely tutorial I've put together for you features; if you have another device, the process is extremely similar, but the placement of your icons or menus might be slightly different. While WhatsApp Web will let you use WhatsApp on a computer, you have to start the setup process from your phone. To do so, open WhatsApp on your mobile device and click on "Chats." (And of course make sure you already have a WhatsApp account. If you don't, you'll need to download the app and set up your account, too.) I cleared my messages for the purpose of this tutorial, but if you have messages in your phone, they'll appear on the screen above. 2. Go To "WhatsApp Web"
That's it! After you're done with the QR code business, you should see the above screen and be connected to your WhatsApp account on your computer. This means you can send messages, pull up your contacts, look at your chat history, and use all your other favorite WhatsApp features right on your computer. Open WhatsApp, go to your Chats, and select "WhatsApp Web" from the drop-down menu, just as you did when you were setting WhatsApp Web up in the first place. There, instead of being prompted to scan the QR code, WhatsApp will tell you about your computer connection — when it was last accessed, where, and so forth. Security, remember? It's always good to be able to keep an eye on the activity on your phone and accounts; that way, if you notice anything out of the ordinary, you can lock everything down fast. So, there you have it! Go forth and message your heart out, right from the comfort of your own computer screen.